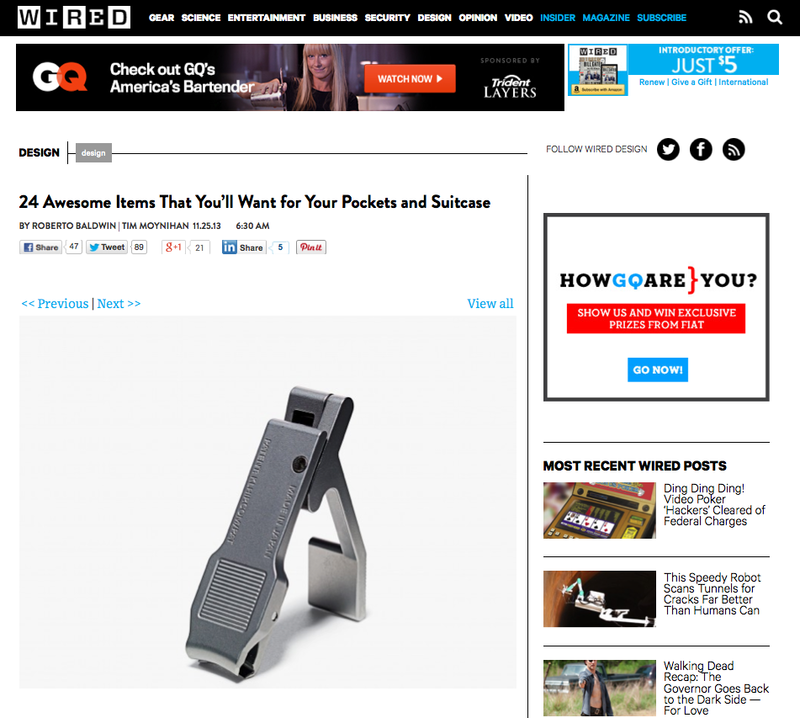 Better tools for humans | Klhip: Klhip named one of 24 Awesome Items at WIRED Magazine! 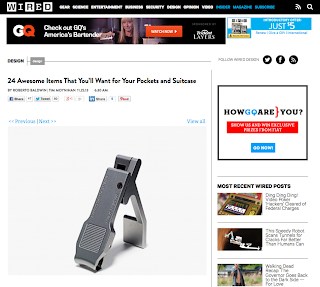 Klhip named one of 24 Awesome Items at WIRED Magazine! Klhip is honored to be selected as an EDITORS' PICK 2013 by WIRED Magazine! You can see it online here WIRED's 24 Awesome Items or pick up the new and special Design issue of WIRED Magazine - on the newsstand. We're so excited........we're standing on our heads! Ok, not really but we love the shot of the Klhip that WIRED used!